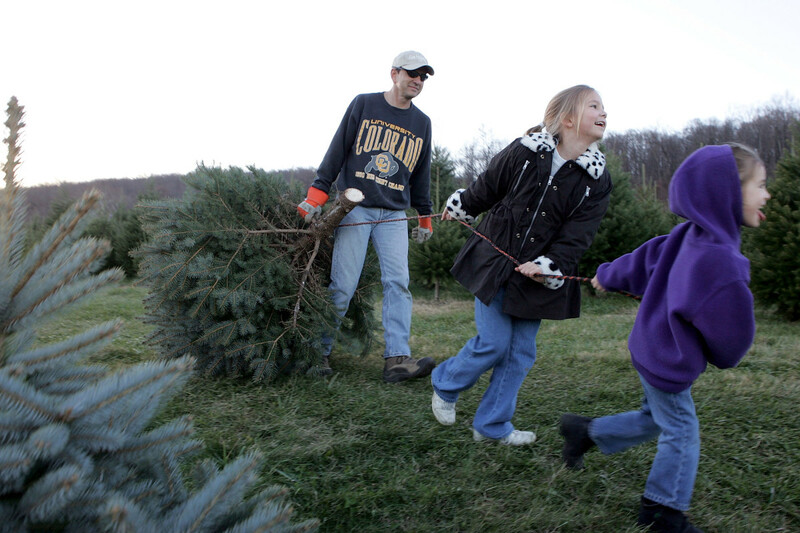 A man and his daughters drag their tree off the Snicker&apos;s Gap Christmas Tree Farm in Bluemont, Virginia. 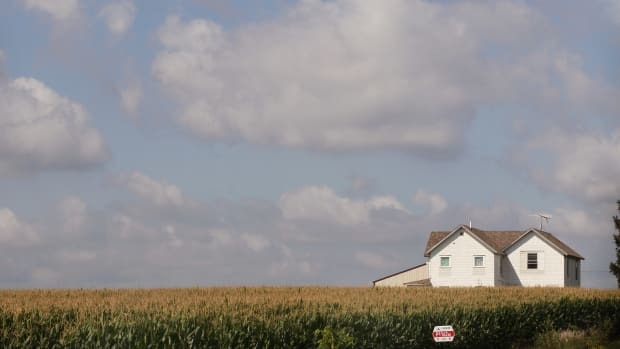 Every year, millions of people leave their cities and suburbs for an unlikely tourist destination: rural America. Over the past three years, nearly two-thirds of the United States&apos; population has visited working farms that offer tours or seasonal activities. Also known as agritourism, this includes trips to stake out the 30 million real Christmas trees sold in the U.S. each year (although many shoppers opt to buy theirs at a store). But it also extends to farm-to-table dinners, farmers markets, and those rustic Millennial weddings you see on Instagram. For these primarily urban consumers, an afternoon spent picking apples or touring a dairy farm may be a fleeting excursion. But this industry is growing—with implications for the future of sustainable agriculture and small farms in America. As prices fall and climate change threatens crops, more farmers are turning to agritourism to maintain their business. According to a U.S. Department of Agriculture report, 52,000 farms made $955 million from tourism or recreation in 2004 (and more recent data is still being collected). However, this trend&apos;s lasting effects remain unclear. The USDA&apos;s Economic Research Service says the effects of agritourism in rural counties are mostly positive; one 2005 analysis found that the tourism industry increased local employment, wages, and income, while reducing poverty levels. But many of those newly created jobs were seasonal and low-paying. The study also found residents in these rural counties experienced higher housing costs and crime rates than before. Even so, producers are quick to play up the benefits. 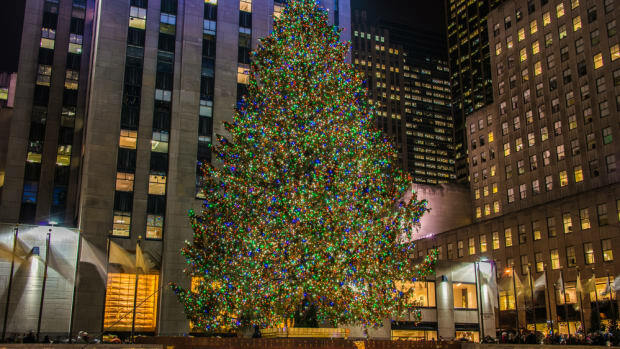 The National Christmas Tree Association, for one, credits Millennials&apos; "hyper-awareness and affinity" for locally sourced products for the industry&apos;s recent success. 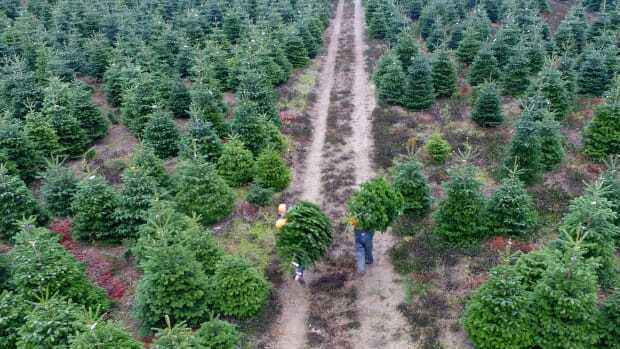 "While prices have increased over the past two years, this is the first time in more than a decade that many local tree farmers are profitable," Tim O&apos;Connor, executive director of the National Christmas Tree Association, said in a statement. A growing interest in sustainability has indeed fueled agritourism opportunities, such as farm dinners. When urban tourists pay $100 for a meal, the added benefit is seeing where their food comes from and meeting the people who produce it, says Penny Leff, agritourism specialist at the University of California–Davis. Leff holds workshops for farmers who want to learn how to use this trend to their advantage. "They can&apos;t make money just from growing anymore," she says. "They have to add value—provide experiences." The extra income barely makes a dent in ever-widening gap between small farmers and industrial operations. 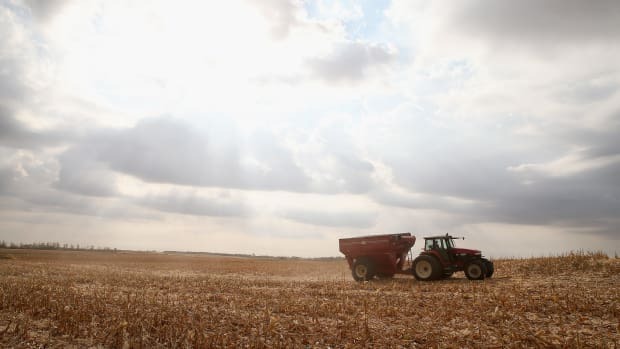 Farm bankruptcies are on the rise in the Midwest, and small southern farmers took a hit during last summer&apos;s hurricane season. While small farmers embrace tourism to survive, factory farms are motivated instead by an "accumulation strategy," the Economic Research Service found, meaning they&apos;re out to make money—and keep it. To get into this business, many small farmers rely on help from experts at university extension services and USDA grants, such as the $13 million allotted for agritourism marketing in 2018. 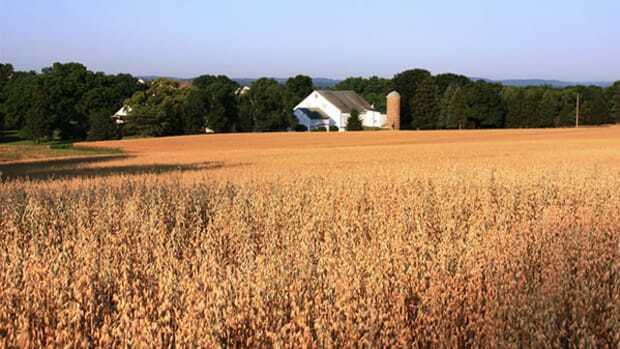 State tourism boards and agriculture departments have also partnered to sell this vision of rural America. 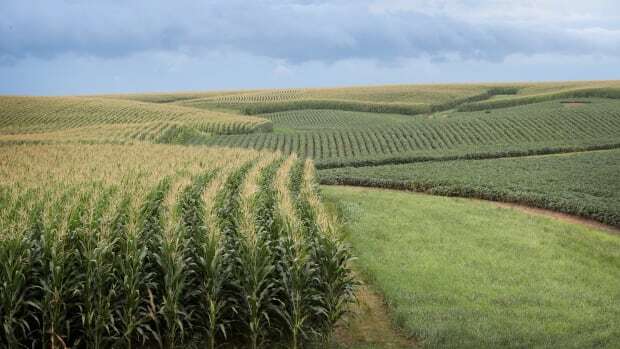 As Indiana&apos;s guide puts it, "In today&apos;s world of fast food and prepared meals, it&apos;s important for all of us to understand where food comes from and how it impacts our health." Agritourism, it says, is "experiencing what farm life is like." But these attractions do not fully reflect the realities of farm life in America. Small farmers are struggling; they can still produce food while running tourism attractions, but the county&apos;s food production increasingly falls to their super-centralized competitors. These industrial operations often pollute waterways with agricultural runoff, and they generate a large portion of the nation&apos;s methane, carbon dioxide, and nitrous oxide emissions—all major greenhouse gases. Small farmers, on the other hand, have proven better at adapting to climate change with sustainable practices. Leff says a suburban and urban audience, unfamiliar with agriculture, expects the latter. They may not always get it. The California state tourism bureau tells experts "there&apos;s all kind of interest from the public in visiting farms," she says. "But the farmers have to take that with a grain of salt." When people visit tree farms in December, they&apos;re paying for an experience that is constantly under siege. These small farmers are surviving—but Amazon is selling Christmas trees this year too.